I did not have the highest hopes for the 7-Select line of candy issued by 7-Eleven. I expected low quality ingredients in fun packaging. I was wrong, though, as each candy I've tasted so far has surpassed my expectations. The 7-Select Birthday Cake Bites are a sleeper hit, as they come out of the package looking a bit misshapen and lackluster compared to the illustrations on the bag. 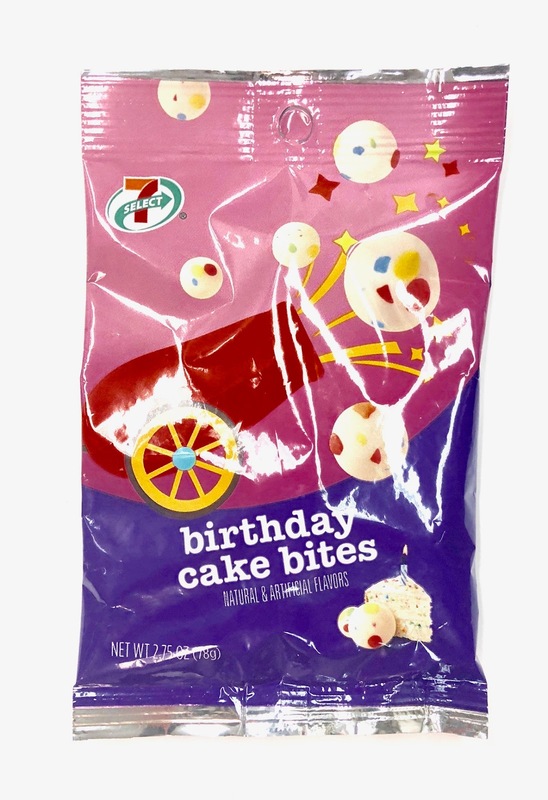 Described as "bits of birthday cake, covered in vanilla icing and confetti sprinkles," and it totally delivers. 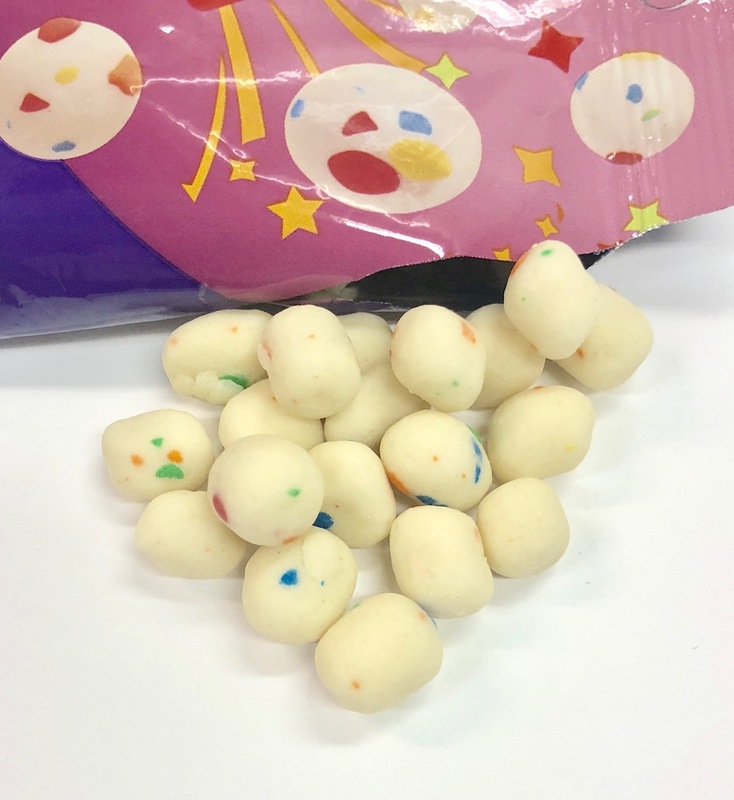 Most cookie dough bites have a really waxy outer shell in order to contain the delicate interior. The vanilla icing here, though, tastes like the real thing and lacks that offensive waxy quality contained in so many others. The flavor is spot on with strong notes of vanilla and butter. They're super sweet (like birthday cake), but really tasty with a great consistency.